How Joseph Kabila has maneuvered to bar Moïse Katumbi Chapwe from presidential race and propped up his candidate. On June 25, 2018, a group of national parliamentarians and senators addressed an open letter to President Joseph Kabila expressing concerns about the approach of the Prosecutor General of the Republic (Flory Kabange Numbi), as well as that of the Minister of Justice (Alexis Tambwe Mwamba) with regard to Moïse Katumbi’s alleged offense against national security (mercenaries’ recruitment). They denounced the judicial proceedings, which they felt were only intended to either prevent Moïse Katumbi from filing his candidature for presidency or render him ineligible. The Katumbi troubles with the Kinshasa authorities at first appeared isolated if not trivial. But, zooming into all events that have occurred in the political arena since the end of 2014 (see chronology of events) and after all dots have been connected, it appears that Moïse Katumbi’s saga, as addressed in the open letter, is just a piece of a large puzzle or plan of Joseph Kabila’s maneuvers to cut off the overwhelming political influence of Katumbi so that he can retain power unchallenged. His second and last mandate had since expired on December 19, 2016; meanwhile, Joseph Kabila had remained mum as to his own political future. He had kept his secret plans very close to his chest, up to the day of his speech to the National Assembly on July 19, 2018 and last hours before the closing time at CENI (the independent electoral commission) for the registration of presidential candidates for the December 23, 2018 general elections. At the beginning of his speech to the National Assembly, Joseph Kabila proclaimed, off script, “…Please understand my passion for Congo”. Under loud applauses from the benches, Kabila had asserted his “passion for Congo”, which we believe, was not about his great sufferings or love for Congo and its people; but rather his strong and irresistible thirst for the privatization of Congo, its institutions and resources. On August 8, 2018, the closing day of the registration of presidential candidates, Joseph Kabila, unexpectedly, put an end to years of speculations concerning his intentions to run for a third mandate by naming Emmanuel Ramazani Shadari, as his successor. Shadari is said to be among Kabila’s most loyal followers, particularly during this time of political turbulences, where his future is at stake. The persisting attempts to torpedo the St Sylvester Agreement. The appointment of his most faithful servants, five months before elections, to key positions in the government, the security services (police and army), the Constitutional Court and the entire “reformed” judicial apparatus. 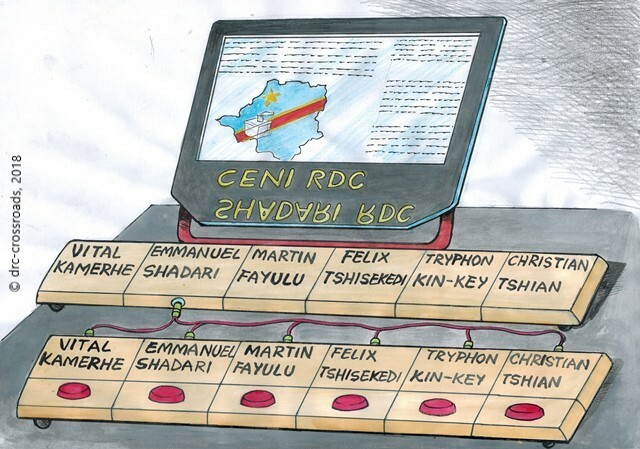 Against all advices and oppositions, the insistence of the CENI – led by a Kabila faithful – to use “electronic voting machines”. Six months before elections, Joseph Kabila launched the Front Commun pour le Congo (FCC, Common Front for Congo), an electoral platform, for the expansion of his political family with the goal of achieving a “broad election victory” in December 2018. The FCC includes members of the opposition in the government and the Presidential Majority (MP), civil society and some notable individuals. The “charter” of this coalition was adopted on June 7, 2018 at the government’s Cabinet Meeting, led by Kabila, at his private farm in Kingakati. The continuous detention, pursuit or persecution of emblematic political figures. Conscious of the end of his last term on December 19, 2016, Kabila has been resorting since 2014 to all sorts of tactics to stay in power. These include delaying elections, amendments of electoral law, attempts to revise the constitution to allow him run for a third term, brutal repressions and killings of protesters, co-option of influential members of the opposition as well as harassment, imprisonment or banishment of those, who dare to turn against him. Such is the case of Moïse Katumbi, a successful businessman turned politician, who joined the People’s Party for Reconstruction and Development (PPRD, Kabila’s party) and became Governor of Katanga province (2007). Later on, he denounced Joseph Kabila’s secret plan to seek a third term in office. 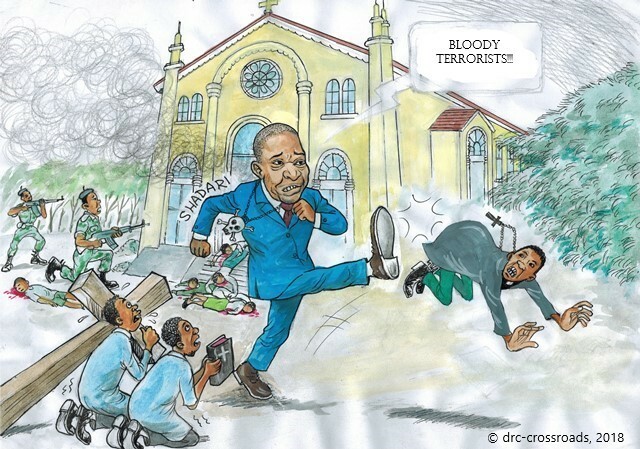 He first hinted it in a soccer metaphor of three unjustified penalties (December 23, 2014), which Kabila’s Minister of Communications (Lambert Mende) considered to be an outrage to the President. Katumbi’s words, said the minister, have discredited and slandered the President. 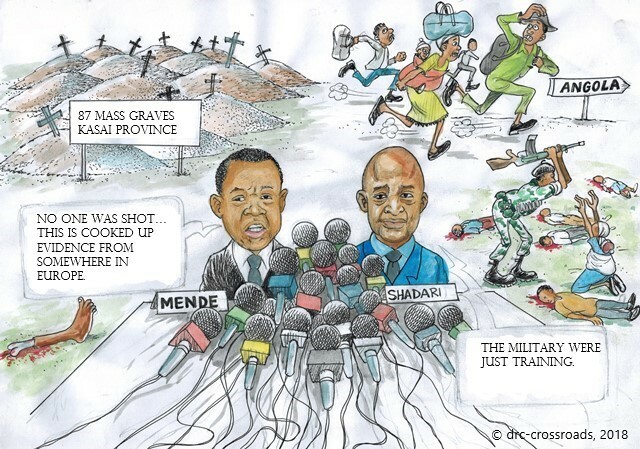 But, what the minister did not say is that, as good flatterers, Kabila’s loyalists and supporters, the “Elites” who flock to the affluent municipality of Gombe, in Kinshasa, had to please the president by decrying Katumbi’s “despicable” words. Katumbi then resigned from the governorate (September 29, 2015), quitted the “PPRD” and declared himself presidential candidate (May 4, 2016). His pronouncements came to represent a serious threat to Kabila’s successful bid for a third mandate. Soon after (May 19, 2016), Joseph Kabila embarked in a deadly campaign to demonize Katumbi. In the process, he desperately engaged in the instrumentalization of public institutions to have Katumbi arrested, imprisoned and, ultimately, barred from the presidential race. Ironically, in February 2013, after carefully scrutinizing the capacity and the potential of Joseph Kabila’s entourage, Augustin Katumba Mwanke stated posthumously in his memoir  that “[Katumbi] is certainly one of the best hopes that our country has today and one of its lifelines to our great future, tomorrow when comes the hour of our great destinies”. In fact, unlike governors of all other ten provinces then, Katumbi seemed to possess experience and skills to manage the modern economy of Katanga. He improved significantly the collection of revenue, built infrastructures and required that working conditions of miners (particularly those employed by Chinese) and salaries be better, among other achievements. In so doing, he somehow overshadowed Joseph Kabila’s aura in Katanga and in some other provinces. Above and beyond all, he proved himself capable of taking over from Kabila, after his second and last constitutional mandate in office lapses. Having failed in his bid for a third term, Joseph Kabila created the FCC, a mega electoral platform, to mathematically enlarge his political family with the goal to achieve a “broad election victory” in the December 2018 general elections, thanks to the electronic voting machines, ten million registered ghost voters, and the Justice apparatus. The powerful Minister of Justice, Alexis Tambwe Mwamba, turned into nationalist and sovereigntist, was once of the RDC rebel movement that downed a commercial airliner. Obviously, for Joseph Kabila and his cronies, Katumbi and all who oppose Kabila’s plans outside of the country, are simply sellouts, part of a business world project, if not a plot, to take control (from them) of the DRC and its resources, from abroad. Kabila’s camp claims that the FCC is made of nationalists and sovereigntists, who are only driven by their “passion for Congo”, are highly questionable and embarrassing. 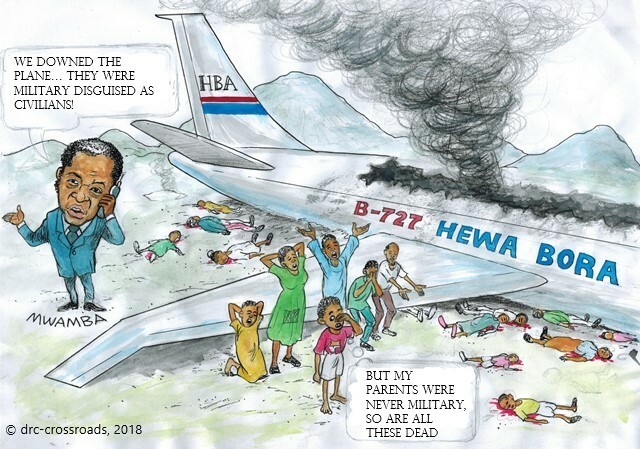 One wonders, indeed, how could nationalists and sovereigntists, such as Kabila and his cronies, privatize the state and alienate its sovereignty for the sake of the preservation of their ill-gotten gains and privileges. How could nationalists and sovereigntists turn the Democratic Republic of Congo into a Mob territory? The Congolese National Police (PNC), the Armed Forces (FARDC) and the National Intelligence Agency (ANR) are used to deter, intimidate or silence discordant voices. Political and opinion leaders are either incarcerated or kept in exile, and journalists as well as human rights NGO’s are simply scorned. A detailed report published by the Congo Research Group at New York University in collaboration with Bloomberg  shows that Kabila’s clan possesses a collection of businesses in Congo, including private and industrial farms, luxury hotels, fast-food restaurants, mobile phone networks and insurance companies. They hold far more profitable off-the-books schemes in corrupt mineral mining and oil drilling deals that divert billions of dollars into their private bank accounts. The Panama  and Paris  papers had also shown that some of Kabila’s family members and close friends own offshore shell companies as well as bank accounts, where a lot of cash is secretly flowing in and being kept. Joseph Kabila has also created shady institutions, such as Bureau de Coordination et de Suivi de Programme Sino-Congolais (BCPSC) and Agence Congolaise des Grands Travaux (ACGT), of which the heads report(ed) only to him, to oversee all projects related to the infamous minerals-for-infrastructure China deal of 2009, amounting to $6.2 billion. His only interest was to overprice the projects and pocket signature bonuses paid by China at the start of each project. Another ad hoc institution, the high-level Bureau Central de Coordination (BCeCO), which does not report to any government ministry, but only to the president and prime minister, has been set up to oversee the “lucrative” investments in the Inga III dam project. This office is reported to see billions of dollars in infrastructure deals and lucrative contracts, of which some is channeled to Kabila himself or his cronies. 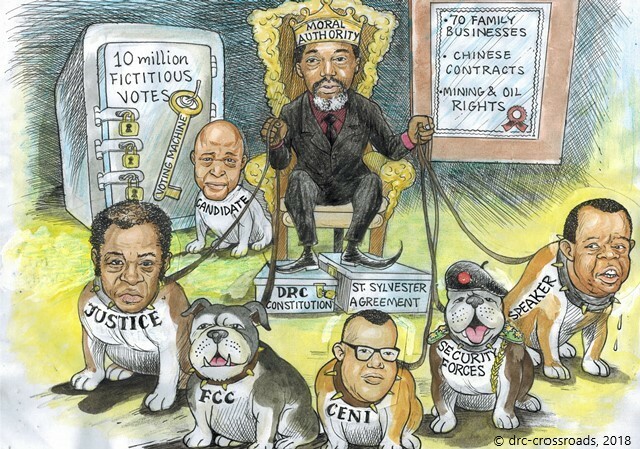 It is the proceeds of these mafia-like activities that Joseph Kabila has used to lock the political system, control the security apparatus, privatize state’s institutions, finance the repression of the opponents and buy political alliances that help create the FCC, the new “state-party” that concentrates the power in the hands of Kabila and his appointees in state institutions and state owned enterprises. Against the letter and spirit of the St Sylvester Agreement, Kabila, with the creation of the FCC, has just completed the series of institutional and political reforms he had secretly undertaken to keep control of the country well after the elections of December 23, 2018. “Beyond the sensibilities, the feelings of each one, it is the regime. It is Joseph Kabila Kabange, it is Mzee [Laurent Kabila, Joseph’s father], [hence] these active efforts [to preserve the regime]. For that reason, we have to work [hard], because if Ramazani [Shadari, Kabila’s handpicked presidential candidate] loses, our regime loses. [Do] you imagine the consequences?” This is how Aubin Minaku, the Secretary General of the presidential Majority (MP) and Speaker of the parliament, expressed concerns about the future of Kabila’s regime in a video released around September 28, 2018 .
cracking down on Christian peaceful demonstrators. Indeed, Kabila is not running for a third term, but, through his FCC, Joseph Kabila has secured for himself the position of “Moral Authority”, which seems to place him above the country’s president. This is an influential position that enables him to not only pull the strings at whim to make things happen his own way, but also, to keep a firm hand on the country, for the benefit of Kabilas’ dynasty and cronies, now and after the forthcoming general elections, if his FCC and handpicked presidential candidate (Shadari) win. However, from many reactions after his nominations and polls conducted recently, Shadari and the FCC have no chance to succeed, in an open, free, fair and credible election. The hope of FCC winning hinges on the CENI and the judicial (Constitutional Court) systems that are firmly under the control of Kabila loyalists. To ensure the FCC and Shadari’s “broad election victory” victory, the CENI has unilaterally imposed the use of the contested voting machine coupled with the unresolved ten million fictitious voters on the ballot register, which are most likely to benefit Emmanuel Shadari (as new President) and the FCC (as the new majority in the Parliament). Throughout these many maneuverings and schemes, it appears clearly that Kabila and his FCC have been purposely sowing seeds of potential violence, uprising and instability that is most likely to ensue after election results are announced. Ultimately, in perfect compliance with the Kabila’s plan, Emmanuel Shadari will be set in as president of the DRC, with the FCC controlling the Parliament, and Joseph Kabila invested with the absolute power of Moral Authority at the top of the system. Obviously the opposition will dispute the election results. Under the circumstances, they will have to turn to the Constitutional Court for justice to be served. However, the machinery put in place by Joseph Kabila to assure “broad election victory” will impede their access to justice. The already corrupt Constitutional Court will rule in favor of Emmanuel Shadari and FCC. The Kabila-Shadari camp will claim that the election was fair, credible and free, even though it was fake, corrupt and fraudulent. The international community and the UN will not be allowed to intervene, because Kabila-Shadari pseudo government will claim the DRC to be a sovereign state that cannot tolerate external interferences and meddling in its internal affairs (especially elections). In desperation, the opposition, the civil society and a great portion of the population will most likely resort to violence and eventually bloodshed, triggering new waves of instability that could engulf the Great Lakes and SADC regions. This is a great threat that has been taken seriously by the SADC, the EU, the US and the UN; as it carries incalculable consequences to these regions. Joseph Kabila has clearly shown over the years his unwillingness and incapacity to act in the best interest of Congo and the regions. In view of the many massacres and crimes perpetrated in the Congo, his silence, selfishness, stubbornness, lies along with his arrogance, have eventually isolated him from the international community. Having already managed to privatize state organs internally, Kabila now fears the possibility of external intervention aimed at ending the endless persecution of the Congolese population and preventing him from igniting the region. and finally, lashing out external interference, and calling for the respect of Congo sovereignty in the organization of elections. The character of irreversibility of elections claimed by Joseph Kabila is not the result of neither his good faith nor his determination to hold elections, but the result of tremendous human sacrifices by members of the opposition, civil societies and ordinary citizens through numerous deaths and imprisonments following peaceful demonstrations; and relentless pressures from the international community. However, Kabila is still opposed to democratic elections, except the ones that will keep him in control of the country. His request to respect Congo’s sovereignty at this critical time in the history of Congo has trivialized and reduced the notion of sovereignty to an empty slogan and propaganda tool. Even though the UN Charter states that “Nothing contained in the present Charter shall authorize the United Nations to intervene in matters which are essentially within the domestic jurisdiction of any state.”, the United Nations, acting through the Security Council, can authorize forceful intervention in a state’s domestic affairs when “international peace and security” are threatened. 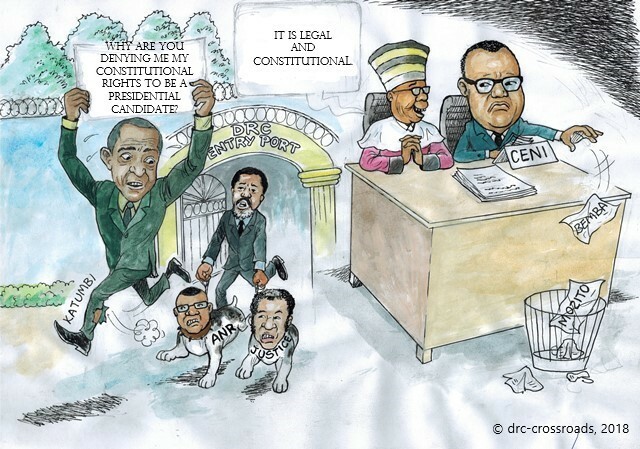 In many instances, Kabila and his regime have perpetrated large-scale human rights abuses against Congolese and have used sovereignty as excuse for their pursuit of their narrow self-interests and the instrumentalization of the Constitutional Court, the Judiciary, the Executive and the CENI in order to retain power against the will of the people. Given the gross violations of human rights in the country, and the threat posed by the Kabila regime to peace and security in SADC and the Great Lakes countries, Kabila and his cronies can no longer hide behind sovereignty to prevent the international community from intervening. Therefore, the United Nations Security Council can authorize humanitarian intervention in the Congo without first seeking the consent of the Kabila regime. In any case, given that Kabila did not implement the Saint Sylvester Agreement since the end of his last term, his regime automatically became illegitimate in the eyes of many Congolese. Considering the foregoing, one could understand the rationale behind Kabila’s deliberate under-estimation of MONUSCO’s role in Congo and his persisting requests for the withdrawal of the United Nations’ body from the DRC. MONUSCO has about 19 000 well-trained and equipped forces on the ground. They are not only embarrassing witnesses to human rights violations perpetrated by the Kabila’s regime, but they could also intervene immediately on humanitarian ground should the United Nations Security Council authorize such intervention. Another constant fear of the Kabila regime is the possibility of an armed incursion, by the Congolese, with outside support. Their actions would be in line with Article 64 of the Constitution, which gives citizen the right to oppose any individual or group of individuals who seize power by force or who exercise it in violation of the provisions of the Constitution. Thus, in the way that armed rebels marched on Kinshasa in 1997 to remove Mobutu, it is most likely to be the same way rebels would also walk on Kinshasa to save the Congo, its Democracy, its Institutions, its People and prevent Kabila from setting ablaze the entire region. For millions of Congolese citizens, these long-awaited elections, far from being a simple citizen exercise on the political calendar of any State, constitute a real struggle for liberation in order to achieve true democratic governance, the starting point of the stability for the well-being of the peoples of the region as well as the socio-economic take-off of the entire region. At this point and time, only the full implementation of the St Sylvester Agreement, along with international sanctions against Kabila and his cronies, could save Congo and its neighbors from the looming humanitarian catastrophe. Moral Authority, as Kabila has made himself, is not gained by force, it is not won by war, it is not won by arms; moral authority is attained through exemplary acts and respect of the rights of others, regardless of their status in the society . Dr. Denis Mukwege, who recently won the prestigious Nobel Prize for peace in recognition of his efforts to end the use of sexual violence as a weapon of war, embodies a tribute of a real Moral Authority. On the contrary, Kabila has used force, terror, war and arms against poor, innocent and unarmed Congolese, whose crime was one of standing for their rights. He is no Moral Authority for the eighty million marginalized Congolese, but to his cronies of the “Republic of Gombe”.